In July, 12 of our year 9 & 10 students took part in a cook off competition organised by Midcounties Co-op. The brief for the day was healthy eating on a budget. Senior Managers from Midcounties Co-op and Mr Harding our Executive Head teacher were the judges. •Sophia Wilson with stir fry with homemade sweet chilli sauce and home made noodles. 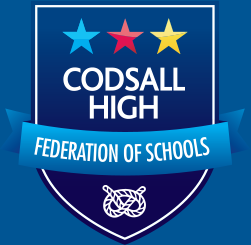 In November Louise Winter, Regional Manager of Co-op Travel Group and Neil Maddox the Manager of Co-op food store in Codsall came into school to award all 3 students with a certificate, they were also awarded with an “Iron Man Driving Blast” to be booked at their convenience. Students were thrilled with what they achieved in the kitchen and the prize they won. Both recipes will be put onto recipe cards and will be available in our local Midcounties Co-op food store, in Codsall. All ingredients were supplied by Midcounties Co-op, to promote healthy communities.